Astrology is never is a easy subject to learn and requires a lot of hardwork.It surprises you everyday & you learn something new.No one can claim 100℅ mastery over it. Its not just a science its a super science where divine power is involved directly. A human mind is a very complex thing and every human have some certain of free will,though as per astrology most of the things are predestined but if someone’s conscience is evolved then Predestiney fails sometimes. Thus reading a life map can be a hurricane task even if your a master of astrology. Astrology requires a dynamic approach from astrologers part where static significations won’t be a help. Largely only few astrologers have a right appraoch for reading a Horoscope. Here a astrologer itself is the key, astrologer’s birth chart should have some special combination which makes him or her capable enough to decode the Planetry allingments. Sometimes even if a astrologer is blessed with knowledge & sharp mind,some horoscope still can be a challenge,here astrologer’s “sadhna” comes in rescue. We all are aware of Yogis of India who don’t require any Horoscope for predictions, they can sense things. Being in constant state of “sadhna” their intuitive channel is activated in their lower spine. They have divine vision(divya dristhi) from which they can see the future. Not just “yogis” if you visit Himalayas there are people who have their methods of predicting things,.They have aqquried sidhis with help of mantras given by their gurus. Predestiney again plays its part here & not every one can have divine vision or sidhis to see future,same goes for an astrologer. You need to have some Planetry allingments in your chart which helps you to read Horoscope in a correct way. Personally i have met few of yogis and wat they do is sometimes out of our so called scientific logic which was fed in our brains by English Schooling model. India being a land of yogis & mystical things have so much to offer to world but our own scientific logical brain termed it as superstition. Being most evolved species among millions of others, itself is a divine thing and our so called modern science is still struggling to find the origin of first humans, so hypocrite is the modern science mindset is. Why cant world accept that there is a divine power which created us. Our vedas are filled with complex principals of physics but western world is not ready to accept it because we Indians are not interested in it .All we care for now is some temporary comforts & shallow education.This So called modern education system now days produced professionals with limited range of productivity and since history is written by winners,our super ancient science & scriptures have lost its value in its birth place India itself. Our Indian astrology have lost some valuable techniques of prediction due to constant invasions of foreign forces. Who can forget the famous way of prediction using “plam leaves” where future of every individual was already written by Sages. But most of these leaves are lost now, only few are remaining which were sold by Britishers to south Indian astrologers,its your luck if you will be able to find yours. 99℅ of Naadi centre across most of major cities of India, who claims that they have these leaves with them are fake and are doing business by fooling people. Iam writing all these things here just to highlights very basic & important things which are very necessary for you if your interested in learning astrology. Coming back to our main topic, here I should tell you few things regarding importance of Hindu Mythology,which is very important to learn if you want to excel in astrology. You know why western astrology is fail? Apart from their wrong ayanamsa, they don’t have a solid Mythology which supports astrology. To make above sentences simple I should ask a question regarding how constellation Krittika was formed? Same way all of our Nakshatras have strong Mythological stories which are very helpful in understanding astrology & making predictions.In fact each Nakshatra have a mythological origin & Nakshatras are building blocks of astrology. Therfore the core of my few sentences above is that without Hindu Mythology you won’t be able to learn astrology perfectly. OK,let me ask one more thing, why planet Saturn don’t give bad results to followers of Lord Hanuman,I guess we all know the reason behind this and that reason comes from epic Ramayan where Lord Hanuman freed planet Satrun from clutches of mighty Demon Ravvan.Demon Ravvan was a astrologer himself & made his own astrological work know as “Ravvan Samhita”. There are other countless Mythological stories behind planet & house functions of which you should be aware of,atleast some extent if not fully versed in it. The problem here is not learning in mythology, problem here is own so called progressive modern education system and our continues inclinations for western way of thinking & living, where Hindu Mythology don’t have any place,rather its a superstition.You ask a kid of current generation regarding our epic Ramayan or Mahabharata, many of them don’t have any idea about them.They are more proficient in Harry potter series or lord of the rings & find them more engaging. It’s not their fault either,it a flaw of our education system & new age modern society where there a no place such things which involves ancient teachings. Our school books have chapters on Moon or Mars mission but they don’t care to put more about our precious ancient works. Parents nowdays are more inclined to push their kids towards cut throat compitions & find our cultural values of no use. My criticism here is for pseudo intelligence possed by people which is doing a great harm to our great culture hence affecting quality of astrologers. Coming back to main topic of astrology lessons, first we should discuss astrology combination for a astrologer. As per Phaladeepika astrologers should have some inherent qualities in them or should follow some special practices which is essential for a good astrologer. 1.Every astrologer should be proficient in astronomy. 2.Should have sound knowledge of Mathematics. 3. Should have a good moral character. 4.Should involved in some sadhna or spiritual practice. 3. Mercury – Astrology, Education & Mathematics. 5.Saturn- Hardwork, Persevenrece Profession & Skills. In Horoscope your Ascendent, 5th house, 8th house 9th house,10th house and 12th house plays important part and above mentioned planets should be involved with them. 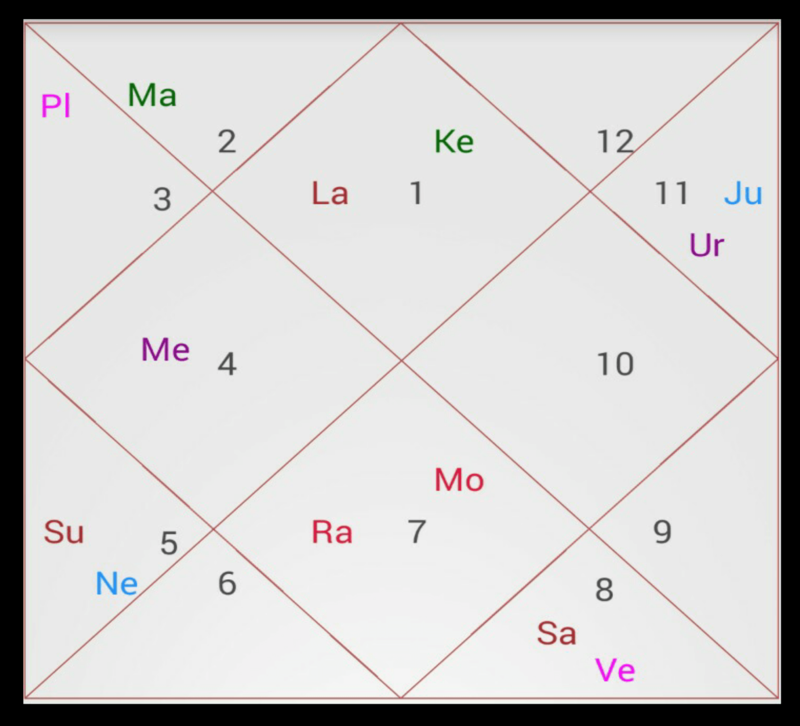 In division charts Navamsha same pattern should repeat .Navamsha is your sookshma kundali (micro birth horoscope) and all matters of human life can be judged from it. 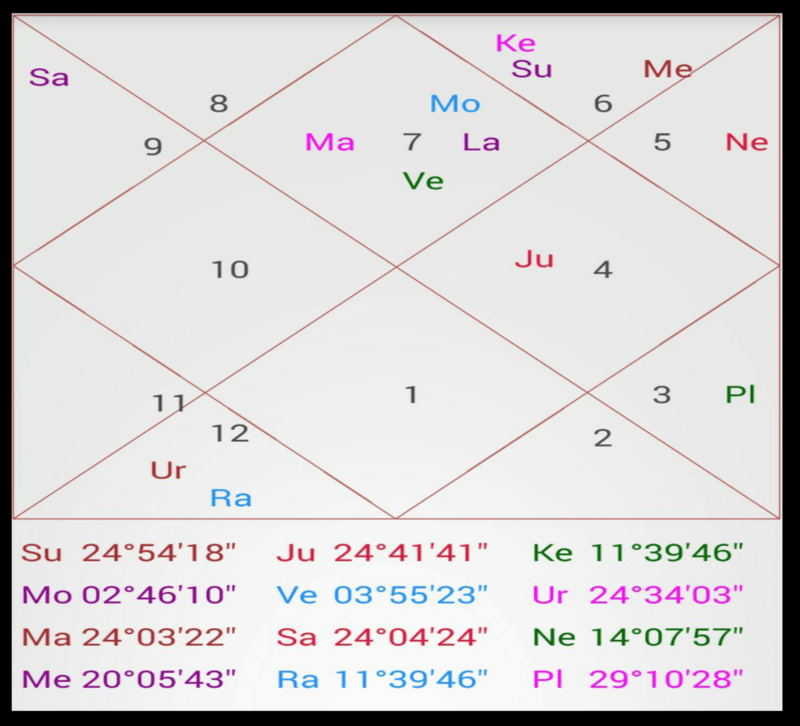 In Vishmansha involvement of Ketu & Jupiter with Mercury and connection between 1st,5th and 9th house makes a person astrologer. Apart from that our astrology scriptures have mentioned Tailor made combination for an astrologer. 1.Gajakesari Yoga in the Ascendant, ninth, fifth or eighth house, makes a person interested in Astrology. 2. Mercury if located in the sign of Jupiter or vice versa, the native will have knowledge of Astrology. 3.Atmakarka associated with 8th or 12th house with influence of Ketu and Mercury. 4.If fifth lord or the ninth lord are in conjunction or share an relationship with Mercury or Jupiter, then native will be a successful Astrologer. 5. If Mercury or Jupiter is in conjunction or shares an aspect relationship in the eighth house, then the native will be interested in occult science or astrology. 6.Satrun-Moon relationship with auspicious Jupiter aspect on it makes a person astrologer. 7.Moon in conjunction with Mercury and Saturn aspects both the planets or Saturn-Moon and Mercury are in conjunction. 8.If Jupiter forms any kind of relationship with Mercury or Venus, then the person will be inclined towards Astrology. 9.If the lord of the eighth house forms a yoga with Moon or Saturn through an aspect relationship or conjunction, or the eighth lord is in conjunction with the fifth lord, then the person will develop an interest in Astrology. 10. If Mercury, Jupiter, Ascendant lord, eighth lord, fifth lord or the ninth lord are located in the tenth house, then the person will become a successful Astrologer. 11.The second house is the house of speech. If the fifth lord, eighth lord, Mercury or Jupiter are in conjunction, then the person will have Vaak shakti in him & will predict future with ease. 12.If the second lord, tenth lord, Ascendant lord or else Mercury or Jupiter are in conjunction with the fifth house, or the eighth lord aspects on all these planets and their house lords, the person will become a successful Astrologer and will earn his income from the profession in Astrology. 13. If the lord of the eighth house is located in the Ascendant with the lord of the fifth house and shares an aspect relationship or any kind of relationship with the second lord or the eleventh lord, then the person will achieve success in the profession of Astrology. 14.In the birth-chart of the Scorpio Ascendant, if Jupiter, which is the kaarak of knowledge, is placed in the second house in the sign of Sagittarius and aspects the eighth house. And Ketu aspects the eighth lord and is located in the fifth house in the Pisces sign, which is the sign of Jupiter. Sun as the tenth lord is in the fourth house, which is the house of fame, and aspects the tenth house, and Saturn as the lord of the fourth house located in the seventh house and aspects Moon in the Ascendant. The person will gain popularity and fame in the profession of predicting future and will be a successful Astrologer. 15.If Mercury is located in the tenth house in the birth-chart of Gemini Ascendant, Jupiter is aspected by the fifth lord in the fifth house. The eighth lord and the ninth lord are placed in the Saturn Ascendant and aspect Ketu, which is the Kaarak planet of mysterious arts and studies, and the second lord is in the Moon Ascendant, then the person will be proficient in the field of Astrology. Let’s explore these points in Horoscope of none other then Shri K.N Rao. 1.8th lord Venus in 1st house in own zodiac with planet Moon. 2.Jupiter & Moon in mutual quadrant thus making Gajakesari Yoga. 3.Union of Mercury with Atmakarka Sun & Ketu in 12th house. 4.5th lord Saturn in 3rd house aspecting own house,9th & 12th house. 5.In Navamsha Ketu is in 1st house aspecting Moon in 7th. 6.5th lord Sun who is Atmakarka is present in own house. 7.Jupiter aspecting 5th house & Atmakarka Sun. In his Vimshamsha 5th lord Venus is in Ascendent & 9th lord Saturn is in 7th aspecting each other. 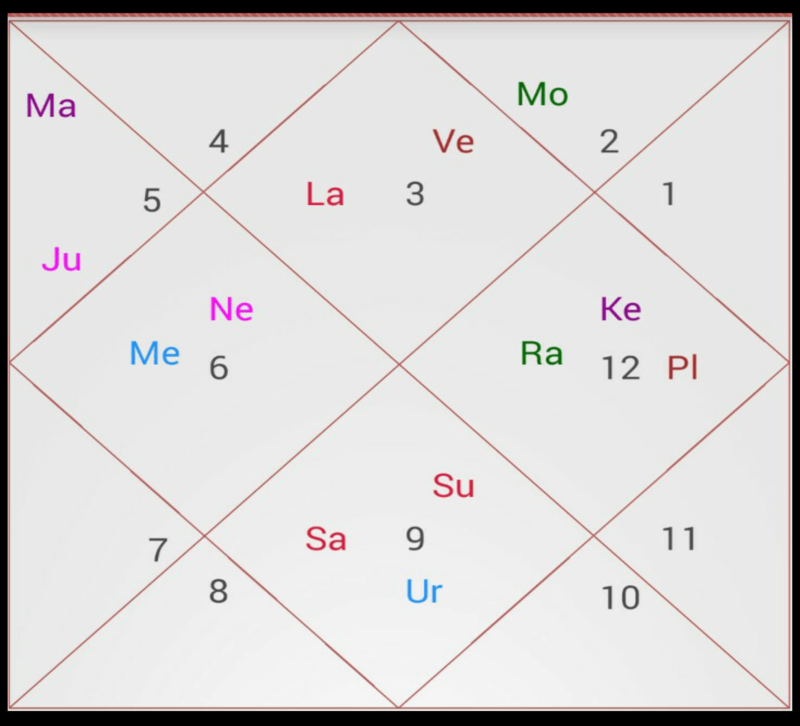 Ketu is in Tenth house in mutual with planet Mercury. While Moon is exalted in 12th house. In latter lessons we will cover various karakas,houses & planets.